Japan is one of the snowiest places on the planet and the snow is of excellent quality due to the cold Siberian current that dominates its climate throughout the winter and keeps temperatures well below zero, always! 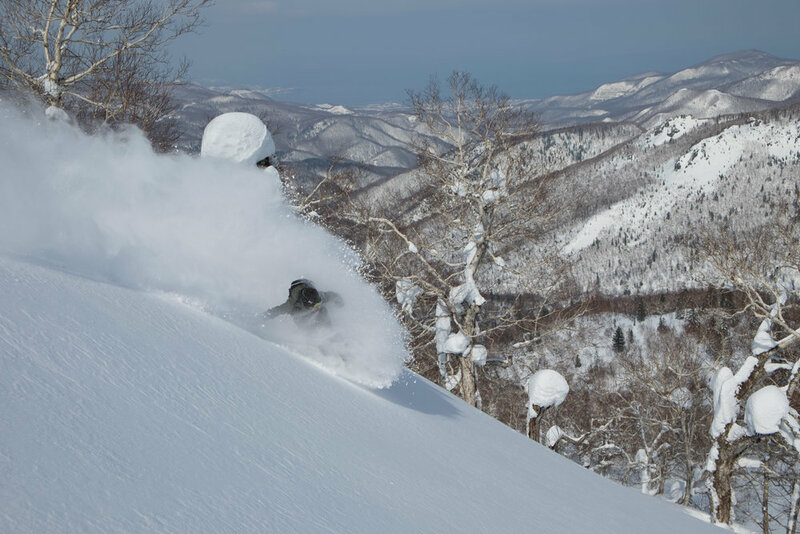 Our preferred areas are the prefectures of Niigata, Nagano and Gunma in Honshu, the main island, this zones receive an amazing amount of snow (averages of more than 12 meters per season), there are far fewer people than in areas like Hokkaido and the terrain is steeper and varied. The Japanese experience is much greater, in many resorts you will barely see any Western. The terrain is mainly in the woods, which is appreciated due to the amount of snowy days, ... but especially in the areas that we have chosen for our tours, the mountains rise up to 3000 meters and there is much more open terrain, just accessible in the few sunny days. Exploring these areas in camper van is for us the maximum exponent of freedom and is what allows you to be in the right place at the right time. We have a plan, of course, but it is totally open to the group preferences and level, conditions and forecasts, this is what makes and adventure, right? Not knowing what to expect on the next day, but be sure that whatever happens, you are in the best hands and that you will get fed up of powder. Traveling in a van in Japan is a luxury, we don’t know a safer and cosier place to do it. You have clean bathrooms on every corner, small shops and restaurants everywhere with wide opening times and Onsens (hot springs) everywhere. 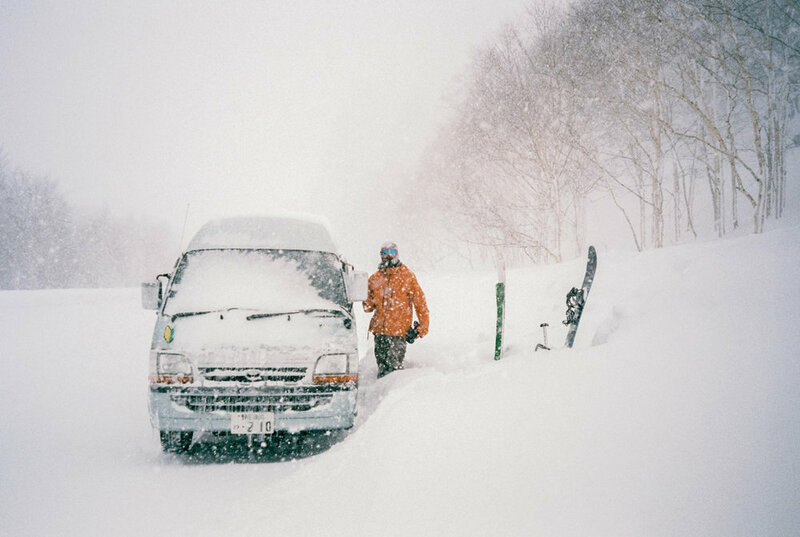 We don’t know a better plan than, after a powder day, a bath in natural Hot Springs and a good Ramen to go to sleep in your warm van remembering the faceshots of the day and dreaming of the ones you’ll do on the next day, do you? 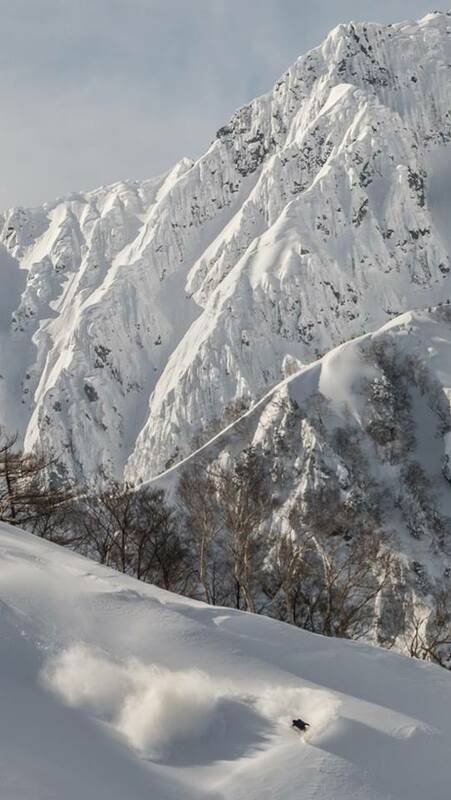 We know more than 30 ski resorts and we know them very well, we have spent four winters, eight months riding all these magical places looking for the best lines, the best places to do night riding, the best Ramens and the best Onsens. Don’t you think there are enough reasons to come with us to live the adventure of your life?